And I am back …. Please excuse the time off – but since I was on shut-down all of last week I have taken the time to spend it with the family enjoying some of the beauty the island has to offer. Okay so as repetitive as it might seem, I am back with another product review post – but I did promise to review all the products I got from the Makeup Revolution haul I did and so without further chit-chat here is the fourth instalment from the said haul. As I have stated before here I am pretty much obsessed with liners and committed to using eyeliners in all forms and shapes. In the same post, I also said that I found the perfect liner for me and I still believe so but after having used this particular liner I must say I am adding another one to the list. 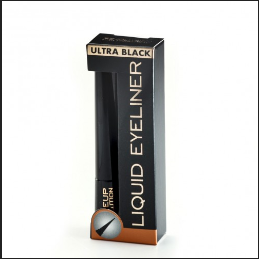 Having said this, the ‘Ultra Black’ name for the liner intrigued me to say the least and so I succumbed and put it on my order. As the saying goes, the blacker the better right and man was I happy to have done so. In fact, I must admit that I was pleasantly surprised with the purchase as it reminded me how much I liked felt tip liners especially the ones as pointy as this one, which makes using this particular liner quite easy with its clean and sharp lines. When I am out to buy a liner, I look for a firm applicator. I find that thin brush-like tip liners make my hand tremble and I always end up with a zigzag motif on my eyelid (which is of course an epic fail). However, this particular MUR liner is perfect – not too firm but still feels like my eyelid is getting enough product with just one sweep, flexible enough to allow you to create the perfect line and wing – well most people can anyways, as for me let’s just say it is still a work-in-progress kinda thing. Let me now talk about the liner’s consistency: Again, top points, it is not too runny which is another thing I look for. In the past I have had liners with a really thin consistency and I pretty much always end up with too many lines along my lash line and of course the blackness of the products it just phenomenal. However, the main thing that won me over is that ultimately the liner’s staying power is pretty much a very long lasting one – an all-day kinda liner. So if there every exsisted a person that has two fave liners well that’s me but hey I guess every gal likes being spoilt for choice right. 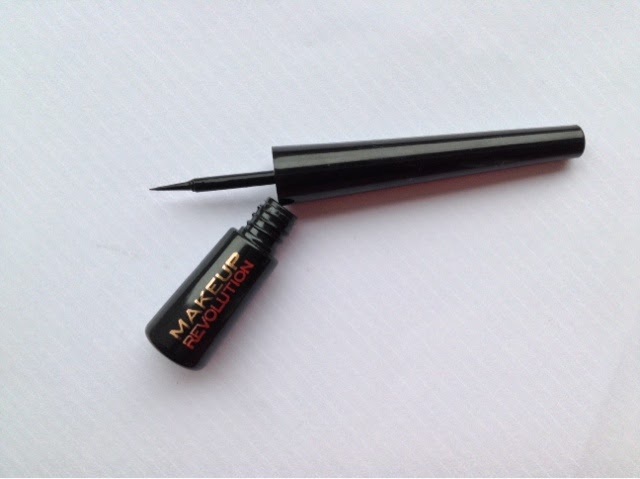 Looks like a very good eye liner!..Where can I put my hands on this? Thinking of getting this one, great post!